This is a free autograph signing event. According to the Ollie’s Bargain Outlet website, 250 autograph tickets will be distributed starting at 7:30 a.m.
Don Sutton is a retired MLB pitcher who played for the Los Angeles Dodgers from 1966–1980, the Houston Astros from 1981–1982, the Milwaukee Brewers from 1982–1984, the Oakland Athletics in 1985, the California Angels from 1985–1987 and the Los Angeles Dodgers again in 1988. Sutton is a four-time All-Star for 1972, 1973, 1975 and 1977 plus he was named MVP for the 1977 All-Star Game. 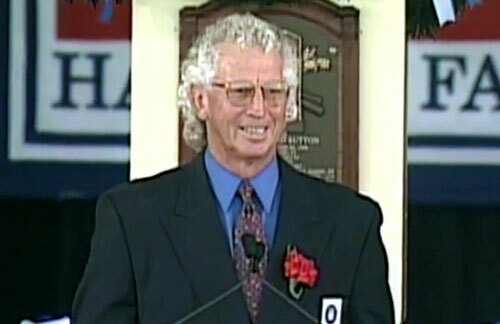 Don Sutton was inducted into the Baseball Hall of Fame in 1998 plus his number 20 was retired by the Los Angeles Dogers in the same year. Sports Speakers 360 is a booking agent for pro athletes. If you would like to book Don Sutton for a speaking engagement, appearance or endorsement, contact a Don Sutton booking agent for fees at 1.855.303.5450.